Greetings among strangers involving hugs may seem like insincere contrivances in daily life, but at Burning Man the hug is the greeting of choice. And it’s not the least bit phony, because love is in the air at Burning Man and the hug is the most evident symbol of it. It may take some getting use to at first; after all, touching and even minimizing personal space are not “normal” for most people. But at Burning Man, hugs are the coin-of-the-realm. There are even camps devoted to giving hugs, and plenty of guys and gals walking around with “hug me” signs. If you’re put off by the phony nature of social hugs in the default world, you might tend to think of Burning Man hugs in the same way – just a rote greeting with no particular meaning attached. But in Black Rock City, the hug is a sincere form of greeting that is meant to express the true closeness that Burners feel toward each other. 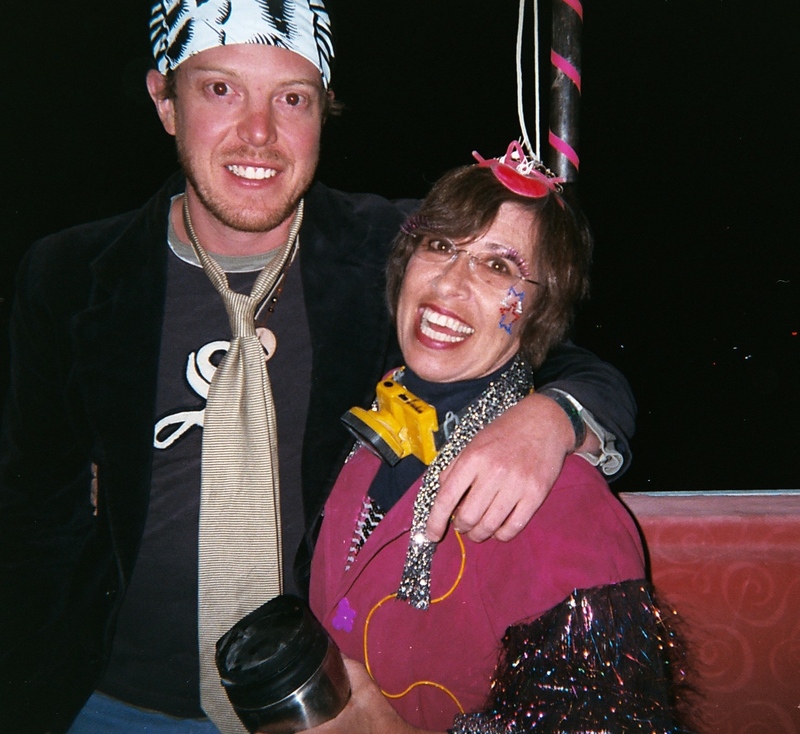 In my first year at Burning Man (at age 60), I was almost overwhelmed by he outpouring of love and affection from my fellow Burners. We went home floating on a cloud of delightful feelings that stayed with us for months. That’s the way it’s been every year, and we have become avid huggers at every Burning Man. I’d urge you to do the same, or, at the very least, accept the hugs for the sincere expression of love and welcoming in which they’re offered. Lashes gets her first hug from a stranger in her virgin year. So if you’re a virgin Burner, open yourself up to the idea that hugging is a treasured form of communications and is meant to express genuine feelings of one human toward another. That can be a difficult concept to accept – especially for us older types who reserve physical expressions of intimacy for family and close friends only. But Burning Man’s entire population is a family, and while it may exist for one week only each year, it can be just as real for that week as decades old relationships are outside of the BRC gates. On another topic, if you still don’t have tickets for Burning Man 2014, don’t be dismayed – at least, not yet. Plenty of tickets become readily available as the date of the event approaches. I’m not talking about “scalped” tickets, but those offered at face value. Check Craigslist – especially in communities geographically close to BRC such as Reno, San Francisco and other Bay Area communities, and Sacramento. Be ready to pay cash, but be wary of counterfeiters. Ask for the official receipt from Burning Man that comes with every ticket (or set of tickets). And keep in mind that you’ll need a $40 parking pass this year for each vehicle in addition to tickets for each member of your group. Don’t be in a rush to buy tickets currently being offered. Tickets have not yet been distributed; so buying one from someone else right now on the basis of future delivery is particularly risky.